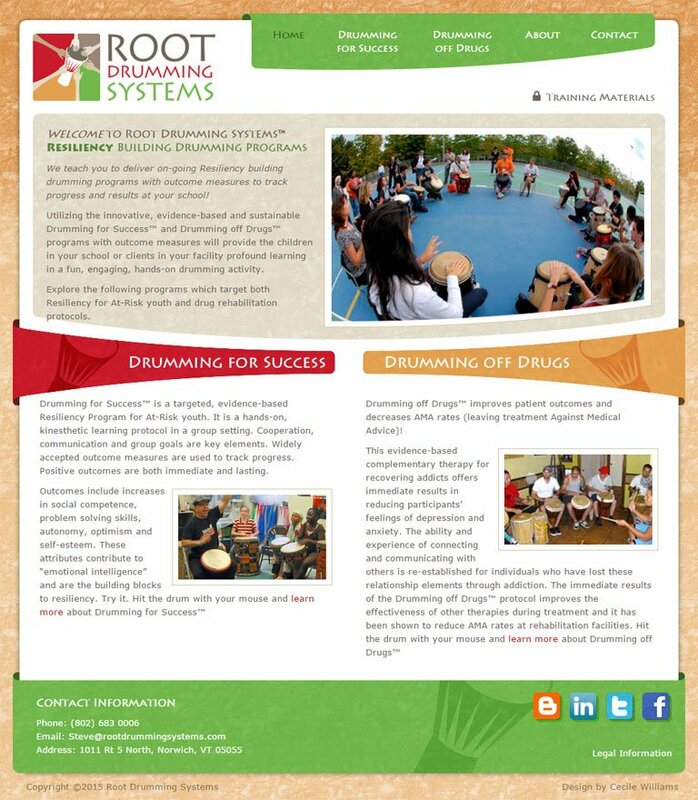 New website design and development for Root Drumming Systems, LLC. Features custom WordPress theme and animated Flash logo. I enthusiastically recommend Cécile Williams, Website designer. It was a pleasure working with Cécile to develop my new website. She was very creative and innovative with my logo and design requests. 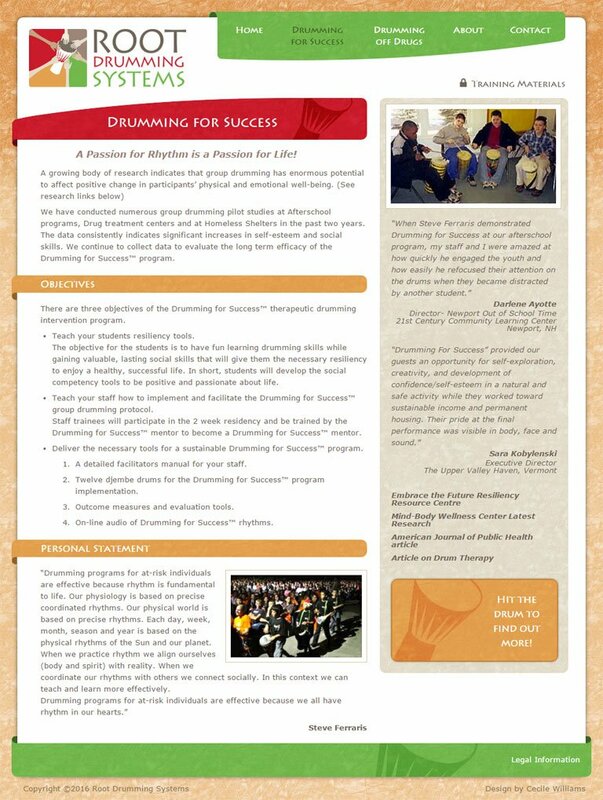 She was responsive with all aspects of the site development and timely with the launch of the new website. Working with Cécile was an enjoyable and successful process.